Prior to becoming a member of the Department, and annually thereafter, all persons shall be medically evaluated by a qualified physician. 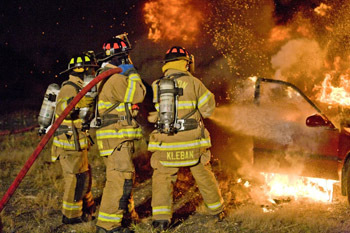 All medical evaluations shall take into consideration the risks and functionality associated with the duties and responsibilities of firefighters. All new members start off as probationary firefighters. 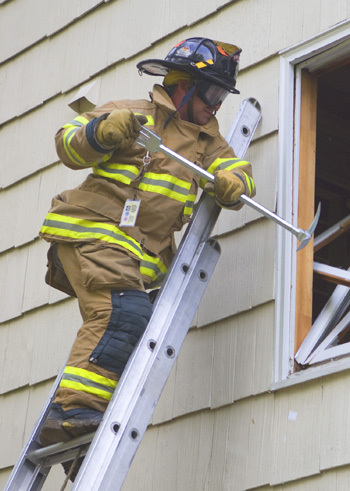 State Training: All new members must enroll in a Connecticut State Firefighter 1 course within 6 months of joining and must complete the course within 18 months. The Firefighter 1 course requires approximately 160 hours of training/education over a 2-3 month period which includes HazMat Operations. Upon completion of the course and passing the State Certification Test (practical/written), the firefighter will be issued a Firefighter 1 Certification by the State. 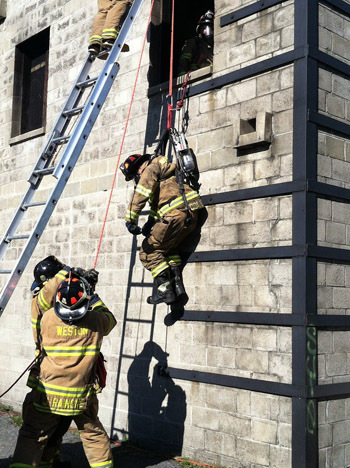 Weston Fire Department Training: All new members must be signed off on several department subjects by the Training Officer within 18 months of joining the Department to include but not limited to: Standard Operating Procedures, Incident Command System, Apparatus Operations, SCBA and others. 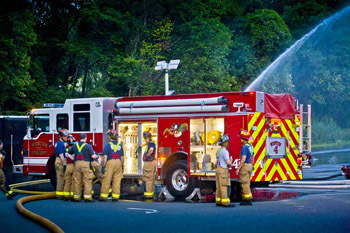 Monthly Drills: Probationary Drills are held on the first Thursday of each month. Gaining Active Status: Before being recommended for elevation to Active status, each Probationary member must also pass a written examination, approved by the Chief and administered under the direction of the Training Officer. To be an active member in good standing, a member must attend 7 monthly meetings, 7 monthly drills, and 7 weekly drills during the calendar year. There are also a number of makeup drills scheduled throughout the year. Additionally, a member must respond to a minimum of 15 calls during the same year. 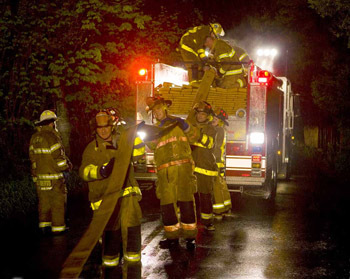 Members are expected to respond safely to calls, and to conduct their activities while on WVFD business in a professional manner; and, in accordance with acceptable firefighting or rescue protocols and standards. Members should be physically and mentally prepared to function at the scene. Persons under the age of 18 must have a parent's signed consent form on file with the Chief. For safety purposes, and in compliance with OSHA standards, members who are under the age of 18 are prohibited from performing certain tasks. Respond to any calls between the hours of midnight and 6 A.M.
All new members who have joined with experience from another department will be interviewed by the Training Officer. Notwithstanding any prior firefighting experience, the probationary period may not be reduced below 6 months. To take the first step to become a member of the WVFD please contact our office at 203-222-2647. Our Office Manager will set up an appointment with our Membership Committee.